Prior to the passage of the New Combative Sports Law, we had some problems: there were a ton of unregulated fight shows, fighters were putting themselves in unnecessary danger, and no pro MMA events were allowed. This sucked, and after years of hard lobbying, the Assembly finally tackled those issues, passing a bill that required sanctioning for everything, licenses, insurance and medical oversight - the works. And yet, now everyone is blaming the New Combative Sports Law for what they fear it will do to the fight scene. Yes, there is a million-dollar insurance policy requirement that is prohibitively expensive to all but the promoters with the deepest pockets (i.e., the UFC, Bellator, WSOF and GLORY). But as per the New Combative Sports Law, that only applies to events sanctioned by the Athletic Commission; the new law has a carve-out in place for amateur and pro events sanctioned by third-party organizations. The commission shall promulgate regulations establishing a process by which entities may be recognized and approved by the commission as authorized sanctioning entities for a period of time to be established by the commission, during which the entity will be allowed to oversee and conduct combative sports within the state of New York. This third-party sanctioning exception extends over the licensing of promoters (section 1007), which in turn extends over section 1015, paragraph 11 - the part of the law requiring the million-dollar insurance policy. We don't know at this point which third-party organizations the Commission will approve, or even if they'll approve any, but as you can see, that's on the Commission, not the law. The folks at the UFC were the driving force in lobbying to get the MMA ban lifted, but now the talk around the water cooler is that they somehow created this law to kill the competition. After all, if they're the only ones who can afford the million-dollar insurance policy, then surely they'll have a monopoly on pro MMA events in New York State. Folks, there is no monopoly held by the UFC - or anyone - when it comes to the new law and the insurance requirement. I've seen actual de jure monopolies in combative sports - back in the early 2000s the state of Georgia created a statute that put the ISCF in charge of sanctioning MMA shows (after all sorts of abuses, the statute was repealed). This isn't like that. And there is no de facto monopoly in place when the barrier to entry into the market is simply a promoter getting a big enough sponsor to cover the cost of an insurance policy. In addition, those who believe the UFC, the New Jersey State Athletic Control Board, or anyone else, had any great amount of input in how the new law was written are vastly overestimating their influence over the process. Assembly Majority Leader Joseph Morelle and his staff wrote the bill, and all the medical and insurance requirements are simply what it took to convince the Assembly members sitting on the fence to say "yes". That's it. The Governor signed the MMA Bill into law. It's a done deal. So time spent lamenting over the changes it will bring is time wasted. 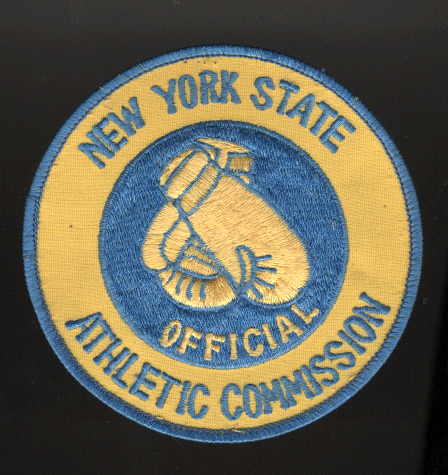 Instead, anyone with concerns over how it will affect the combative sports scene - whether it's amateur MMA events in Queens or big pro events at Madison Square Garden, whether it's a kickboxing show at a bar in Wantagh or a karate tournament in Buffalo - should start thinking about how they can express those concerns to the Governor's office, the Department of State and the Athletic Commission. All those people who did a fantastic job meeting with and educating their local legislators now need to switch it up and make their presence felt to an entirely different section of government. Though the legislature created the means in which to stamp out dangerous fights and let pro MMA in, they merely forged the blade. It's now up to the Athletic Commission to wield it. The big questions are will they swing it wildly like a sword, or handle it with surgical precision like a scalpel? Without knowing where the Commission stands - or even who the Commission will be staffing to handle its new responsibilities - it's impossible to predict what exactly lies ahead. But whatever does lie ahead, it has less to do with the New Combative Sports Law and more to do with how it's being interpreted.